Donald Jack Van Duren, age 96, passed away in Novi, Michigan on December 1, 2018 following a brief illness. The youngest of seven children born to Cornelius and Mary Van Duren, Don was raised in Holland. Don’s business, Van Duren Tailors, was a fixture in downtown Holland for 56 years from 1948 to 2004. Don loved people. He and Opal were regular participants at the local coffee hour where they enjoyed daily updates and conversation with friends and associates. Don was known for his constant smile, wry humor, mild manner and overall positive outlook on life. When not singing a tune, he’d be whistling it, over and over again. Don was proud of his service in the US Navy in World War II. 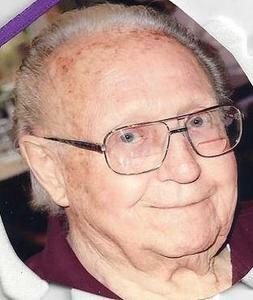 He was a life member of the VFW and BPOE. An avid tennis player into his 70’s, Don also loved dancing, sailing, softball, and coaching youth baseball teams. Don was preceded in death by his beloved wife Opal. Survivors include daughter Linda (Glen) Margrave, sons Donald W. (Jennifer L Peter) Van Duren and Robert (Annette) Van Duren, grandchildren Eric, Kevin, Dana, Donald Edward (Eddie), Jennifer Elizabeth (Ellie), Kyle and Ryan, great grandchildren Elliott, Finley, Dexter and Rosalind plus several nieces and nephews. An informal visitation will be Sunday, December 9, 2-4pm at Dykstra Downtown Chapel, 29 East Ninth Street, Holland with a service of remembrance at 3:30PM. Internment will be in Pilgrim Home Cemetery. Memorial gifts may be given to Holland VFW or Charity of one’s choice.